UCEDC’s Procurement Technical Assistance Center (PTAC) has helped small businesses penetrate the often confusing world of government contracting and win billions of dollars in contracts over the years. 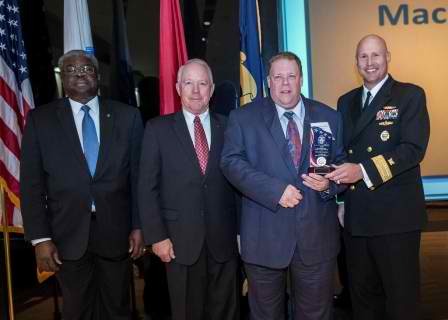 In 2013, our PTAC team was particularly proud to hear that one of its long-time clients won a different kind of award – the Recognition for Excellence Bronze Award from the Defense Logistics Agency (DLA) Land and Maritime as one of the government's top suppliers . Mack Boring and Parts Company, a UCEDC client since 2000, supplies diesel engine parts used in generators for various ground support equipment for the Department of Defense and other agencies. The company, which has been a DLA vendor for four years, won the award for meeting stringent quality and delivery requirements established by the DLA. "We are very proud to have been selected for this award and to receive this prestigious recognition for our quality and delivery performance. This is a testament to our commitment to the pursuit of service excellence,” said Rich Clark, Mack Boring’s government contracting administrator. PTAC worked with hundreds of clients like Mack Boring in 2013, helping to win $200 million in government contracts and creating/retaining 4,000 jobs.